• 14“W x 13"H x 4“D • Handle drop: 10"
“Charlevoix the Beautiful” from its arts and culture to the amazing views of Lake Michigan and the petunia lined streets makes this the picturesque place that it is! Charlevoix is dedicated to keeping its quaintness by having mostly locally owned shops which include art galleries, boutiques and remarkable outdoor restaurants. Charlevoix is Northern Michigan’s hub of the arts as they host an array of festivals. 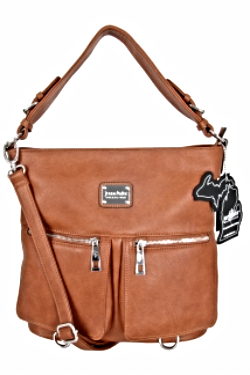 The Charlevoix Handbag was designed to be functional while maintaining beauty.